Tuberculous pericarditis usually develops as a result of retrograde lymphatic spread of bacilli from tracheobronchial or mediastinal lymph nodes. It is the most common cause of pericarditis in Africa, and the incidence has increased due to the HIV epidemic. This patient would have presented with signs and symptoms of constrictive pericarditis. A "pericardial knock" may have been heard on auscultation. 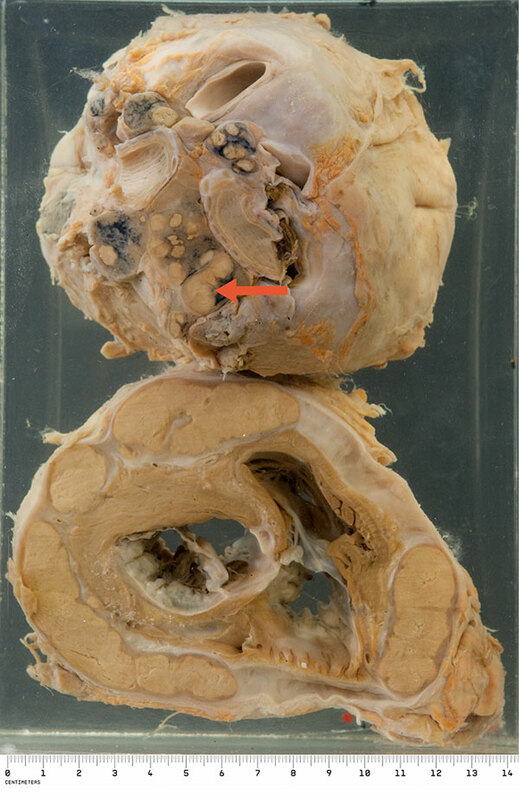 These transverse sections of an adult heart show a late stage of tuberculous pericarditis. 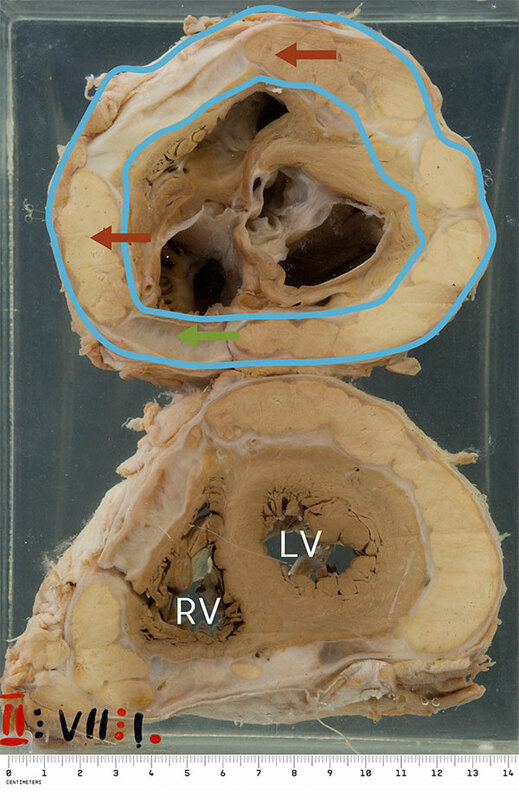 The pericardial space is grossly widened by large areas of caseation in a shell of organised fibrosis - this would be clearly visible on echocardiogram. When the bottle is reversed, adherent caseous lymph nodes are seen at the base of the heart.